As the founder of TopSpin Communications, a social media marketing company, I’ve been helping nonprofit organizations plan and promote fundraising events since 2010. Too often, I’ve seen charities invest significant resources – as well as time and energy – into an event, only to discover that another local organization with the same potential attendees was holding its fundraiser on the same night. I created eventoozi to be a one-stop, online hub to help nonprofits avoid conflict dates, find high quality vendors or service providers, and plan and promote more successful fundraisers. 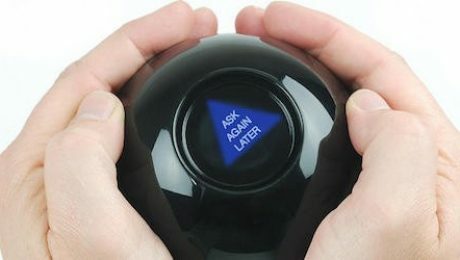 Wouldn’t it be great if, as an event vendor, you had some kind of crystal ball to read into the minds of those whom you exactly want to target? Nonprofits have learned the same lesson that general marketers have: once is not enough. Just over one-quarter of respondents say they only hold 1-3 events a year. More common, at 31% each, was 4-6 events or more than 10 events per annum. Stretched in time and energy managing several dates and types of events each year, event planners appreciate vendors reaching out to them and making the task of finding resources easier. Educational events followed at second with 38% of respondents saying they hold some form of informative seminar, panel discussion, or guest lecturer. Educational events shouldn’t be confused with conferences which, at 14%, received the lowest number of responses. It would seem that presenting helpful information reaches a wider net of interested people and potential supporters. Event economics also work in favor of educational vs. conference – a seminar or presenter is a 2-3 hour commitment in comparison to an all-day or 2-day conference. This is time and energy that can be redeployed to putting more events on the calendar. The number of nonprofits holding general, sports-based events such as walk/run/swim/bike-athons, golf outings, and kids events was almost evenly split at 24%, 20%, and 20% respectively. Into the basket of sports events we would also include bowling fundraisers, poker tournaments, and motorcycle rides. Anything goes…literally! Who you gonna call? Great vendors! There’s a huge opportunity for vendors to use targeted marketing like eventoozi to get on nonprofit event managers’ radar. More than 60% of the nonprofit event managers indicated they will need to secure a venue for their upcoming events. Caterers and entertainment were neck-and-neck in second place with about 50% of the planners indicating they are looking to hire vendors in each of these areas. Over one-third of the respondents said they would be looking to hire vendors in each of the following areas: graphic designers, photographers, and printers. Even with a perceived higher price point and more upscale image, over one-fourth of respondents said they are looking to hire florists. Mobile bidding solutions and fundraising consultants rounded out the list at 18% and 13% respectively. Those with whom we’ve spoken who have used such vendors rave about their value and the considerably improved bottom line of using their services. There is no better place than eventoozi for event vendors to capture the attention of nonprofits as the majority of traffic to eventoozi is comprised of nonprofit event organizers. And, with listings starting at only $250/year, there’s no time to wait – event planners want to secure your services NOW. Eventoozi’s advertiser packages offer local, regional, or national coverage to reach the exact people who can hire you. Get started now…before a competitor gets YOUR potential client’s number.